Date: Apr 19 2019, 5:30 a.m. This event will consist of a 10-mile run where the top 3 individuals who place in each bracket receive Commander's Cup points. The age brackets are: 19 and under, 20 – 29, 30 – 39, 40 – 49, and 50+ with both male and female slots. All participants must be Active Duty Military or on active status to compete in this race. 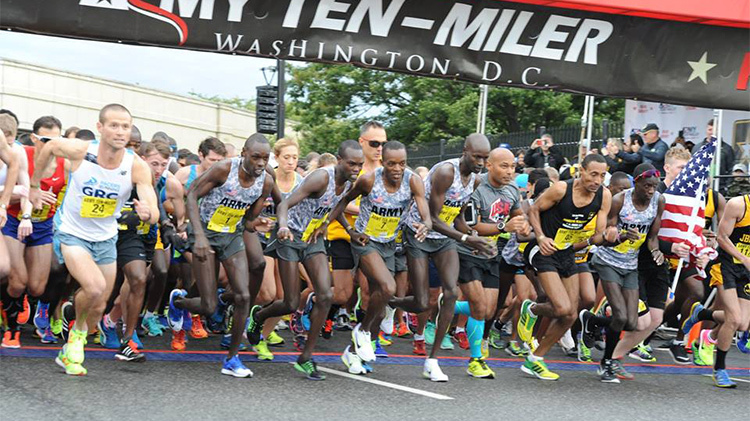 In addition, DFMWR holds two qualifiers each year for opportunities to have Service members represent JBLM at the Annual Army 10-Miler event in Washington D.C. on 13 OCT 19. The five fastest individual times for both men and women will receive a full TDY to Washington DC from 11 – 14 OCT 19 to represent JBLM. The first qualifier will be 19 APR 19 in conjunction with the Commander's Cup Race. The second qualifier will be held on 20 JUL 19 as part of the Freedom Run. Packet pick-up begins at 0430. Race begins at 0530. Limited race registration will be available until 0520 race morning.